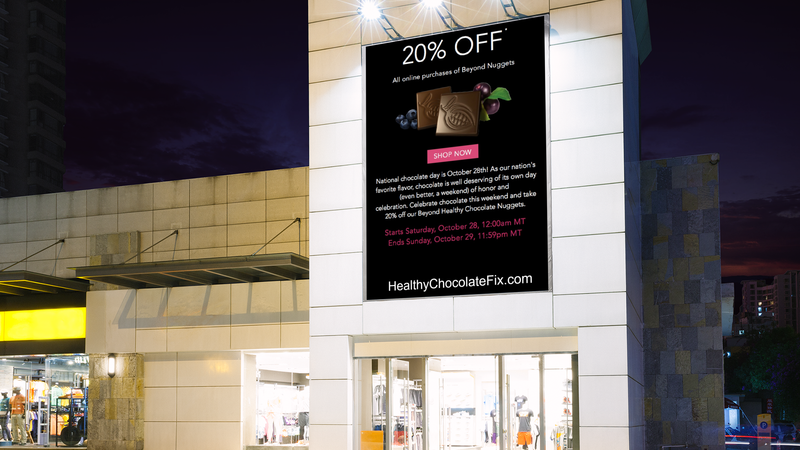 Celebrate National Chocolate Day with 20% off Beyond Healthy Chocolate Nuggets! 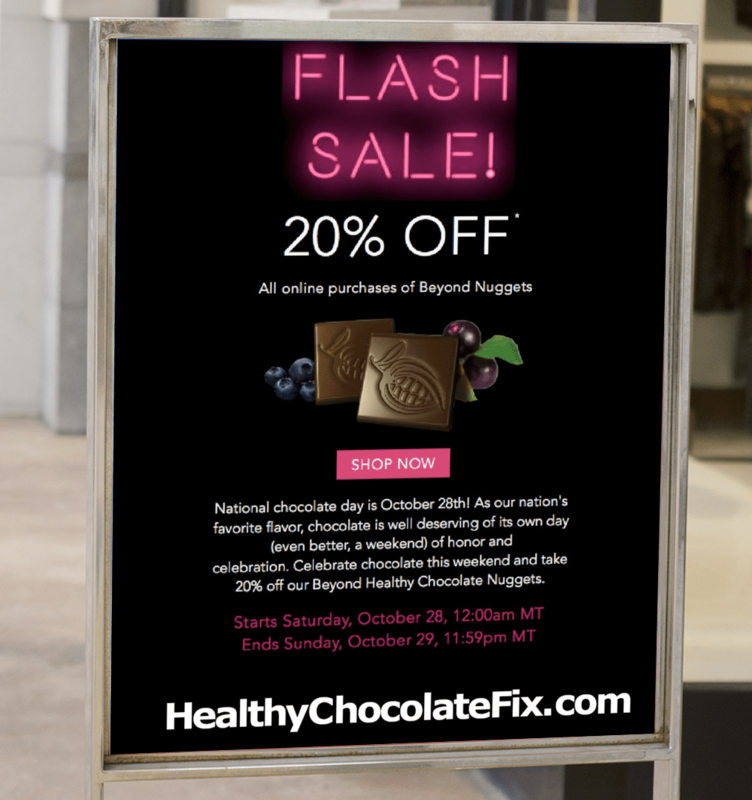 National Chocolate Day is Saturday, October 28th, and to celebrate, Well-Beyond is offering 20% off Beyond Healthy Chocolate Nuggets this Saturday, October 28th at 12:00 am MT through 11:59 pm MT Sunday, October 29th, 2017. This is a great stock up price and you don’t want to miss out! For best results, enjoy 4 or more pieces of Beyond Healthy Chocolate per day spaced out morning, mid day and evening to maximize antioxidant and cocoa flavanols. Directions for use: Best taken 1 piece at a time every 3-4 hours. Simply Unwrap, Breathe, Eat and Repeat. Just 35 calories per piece! 15 calories from saturated fat. Total sugars, 1 gram. 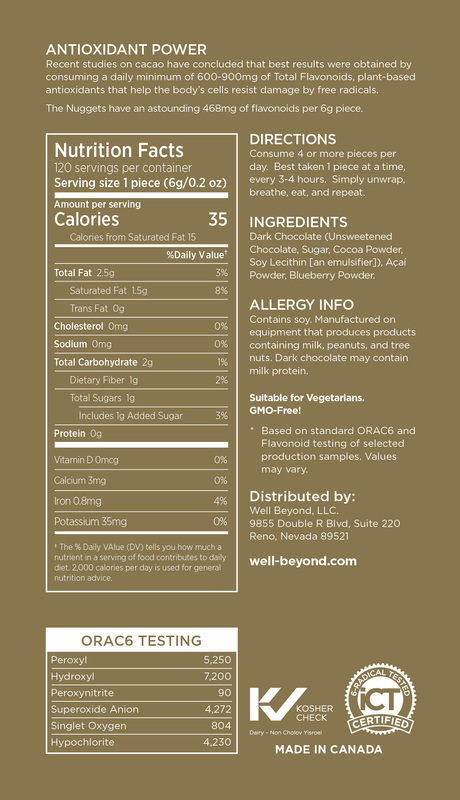 Beyond Healthy Chocolate Nuggets have an astounding 468mg flavonoids mg per 6g piece! We are Three Sons Marketing LLC. Contact Lynette Henk at 941-216-5727 with any questions or to order. 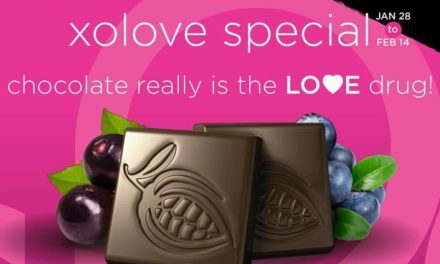 You can also order direct online at HealthyChocolateFix.com. We are here to help! NextIs there Such A Thing As Heart Healthy Chocolate Or Is It A Myth?